A Bitcoin address, or simply address, is an identifier of 26-35 alphanumeric characters, beginning with the number 1 or 3, that represents a possible destination for a bitcoin payment. Addresses can be generated at no cost by any user of Bitcoin. For example, using Bitcoin Core, one can click “New Address” and be assigned an address. It is also possible to get a Bitcoin address using an account at an exchange or online wallet service. 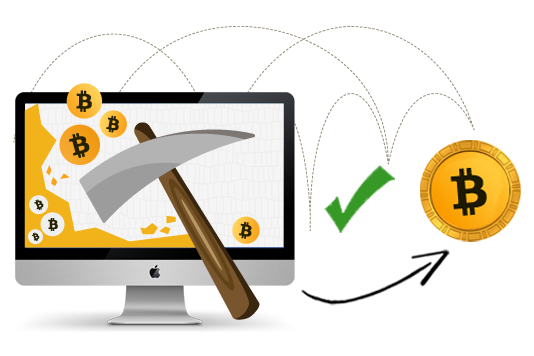 What is Mining Of Bitcoins? To generate a bitcoin, computers run specialized software. Because of how complicated the math needed to generate a bitcoin is, they must be calculated with very powerful processors. These processors can be found in CPUs, graphics cards, or specialized machines called ASICs. The process of generating the bitcoins is called mining. People who use these machines to mine bitcoins are called miners. Miners either compete with one another or work together in groups to solve a mathematical puzzle. The first miner or group of miners to solve the particular puzzle are rewarded with new bitcoins. The puzzle is determined by the transactions being sent at the time and the previous puzzle solution. This means the solution to one puzzle is always different from the puzzles before. Attempting to change an earlier transaction, maybe to fake bitcoins being sent or change the number of someone’s bitcoins, requires solving that puzzle again, which takes a lot of work, and also requires solving each of the following puzzles, which takes even more work. This means a bitcoin cheater needs to outpace all the other bitcoin miners to change the bitcoin history. This makes the bitcoin blockchain very safe to use. What is Future Of Bitcoins?